ERIE, MI (June 30, 2018) – There have been a few questions recently among Engine Pro Sprints On Dirt presented by ARP competitors. 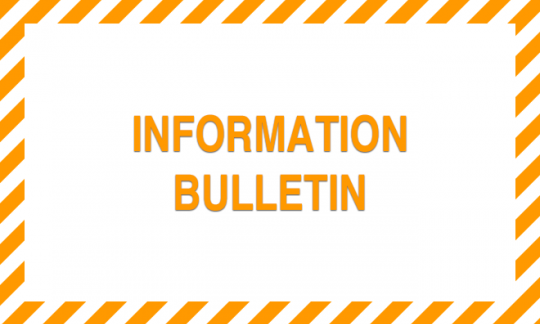 This bulletin is being provided for the benefit of SOD teams. As with any speedways and series, it is the responsibility of each team to know the rules that they are racing under. The complete Sprint On Dirt rule book is available online at https://goo.gl/xZEoMG. The Sprints On Dirt default channel is now channel 000, 454.0000 frequency. This is the channel the raceceiver will default to when replacing the battery. It may be necessary to use another channel at times, and it will be announced at the speedway when required. INSTALL A NEW BATTERY FOR EACH RACE DAY. Unaltered mufflers or inserts are required at all tracks. Inserts can be purchased from Sprints On Dirt at every race. 3.4. Car number: Number must be prominently displayed on both sides of the fuel cell, both sides of the top wing, and top of the center section of the top wing. 3.5.1. Traction control devices are not allowed. 3.5.2. Other devices are not allowed unless prior written approval has been given. Unapproved devices will be confiscated. 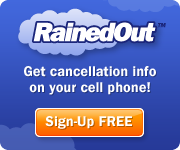 This includes all devices that use any power such as batteries, internal power supplies, wind-up, etc. 6.2. No wicker bills or Gurney lips permitted on center foil unless center foil is totally flat. If flat, a one-inch wicker bill is allowed. 6.6.2. Sideboards: Top wing sideboards maximum size, 72 inches long and 30 inches tall. Panels must be of one-piece construction. Panels must be fabricated flat. Turnouts on all edges of the wing must not exceed 1 1/4” perpendicular to the sideboard x 1 1/4” from the rear of the sideboard forward. The entire panel must remain perpendicular to the center foil. No bending the side panel and/or moving the braces to kick out the right side panel. The Sprints on Dirt schedule, rules, current news, and other information are available at www.sprintsondirt.com. ERIE, MI (June 23, 2018) – Shawn Valenti, Fostoria, Ohio, took the MAHLE/Clevite Beyond Limits Challenge Engine Pro Sprints On Dirt presented by ARP win at Tri-City Motor Speedway in Auburn, Michigan, last night. The entire program was run in typical SOD fashion without a single caution all night in front of a capacity crowd. The night started out under sunny skies before light rain started falling. It was not initially enough to halt the program, however, the rain increased and halted racing around 7:00 PM. After a medical emergency and almost two hours of a huge effort by the track crew, racing resumed with the SOD feature taking the track first. In qualifying before the rain, Steve Irwin, Fenton, Michigan, tied the track record at 11.107. Thomas Schinderle and Gregg Dalman looked strong in taking the Engler Machine & Tool and COMP Cams heat races. Valenti started on the pole for the feature and led all twenty-five laps of the feature completed in just over five minutes. But it was not easy as Steve Irwin made several serious challenges, even pulling along side the leader. Irwin dropped to third on lap eighteen then fourth on lap 24. Ryan Ruhl took second on lap 18 where he finished. Chad Blonde moved up seven places to finish third. Steve and Erika Puvalowski, Tri-City Motor Speedway owners/promoters and their entire staff did a tremendous, relentless job of getting the race program in under very difficult conditions. As a result, the full house enjoyed an exciting, action-packed night of racing. Blonde leads SOD championship points over Valenti and Ruhl. Blonde also leads Ruhl and Valenti in MAHLE/Clevite Beyond Limits Challenge points. Valenti won stage 2 of the Motul Leader of the Pack over Chad Blonde with Jay Steinebach and Ricky Ferkel tied for third. Check out the Tri-City Motor Speedway website at www.tricityracetrack.com and its Facebook page at www.facebook.com/tricitymotorspeedway. For more information about Engine Pro go to www.enginepro.com. For more information about ARP, go to www.arp-bolts.com. The full 2017 Sprints on Dirt schedule, rules, current news, and other information are available at www.sprintsondirt.com. ERIE, MI (June 19, 2018) – Engine Pro Sprints On Dirt presented by ARP returns to Tri-City Motor Speedway, Auburn, Michigan, on Friday, June 22 for the first time since 2015. 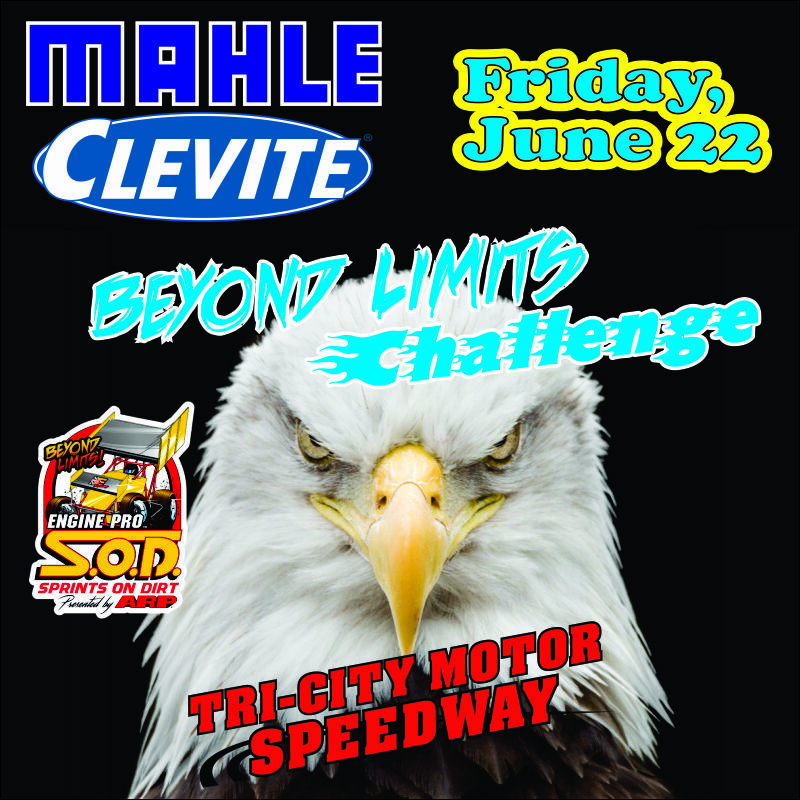 The race will be the second of five SOD MAHLE/Clevite Beyond Limits Challenge races. 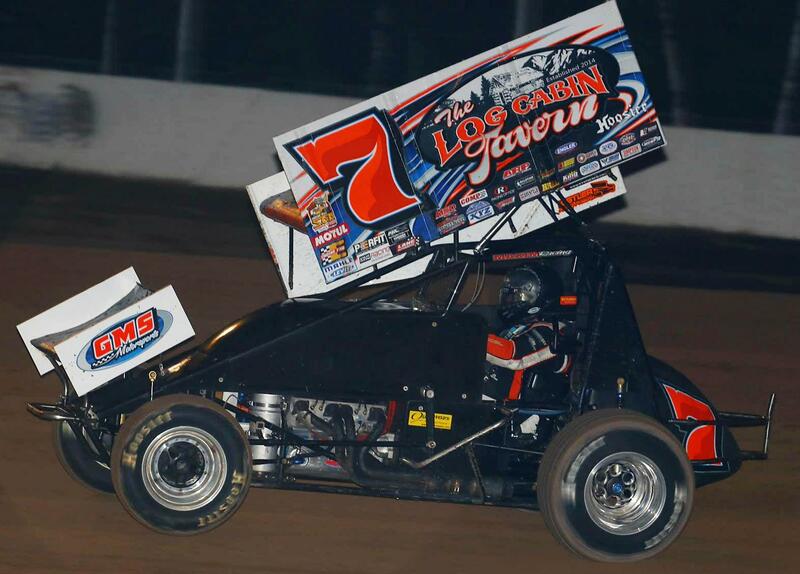 The first BLC race was at Crystal Motor Speedway on April 28 where recent high school graduate Zane DeVault drove his 360 cubic inch sprinter to a narrow victory over Chad Blonde. Tri-City is a slightly banked 3/8-mile track that is a fan favorite. It is recognized for its emphasis on family-focused entertainment, fan involvement, and efficiently run race programs. Sprints On Dirt last raced at TCMS twice in 2015. 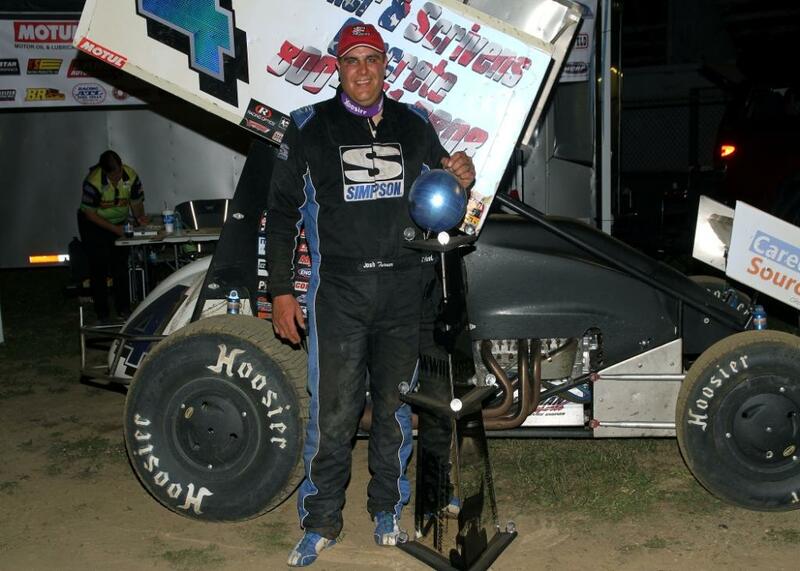 Ryan Ruhl won his third SOD feature of the season on June 4. Floridian Kyle Pitts, now a Polk County, Florida, deputy sheriff, picked up his only SOD win on July 17. Chad Blonde (Litchfield, Michigan) currently leads SOD Championship points over Shawn Valenti (Fostoria, Ohio) and Josh Turner (Osseo, Michigan). Zane DeVault (Plymouth, Indiana) leads MAHLE/Clevite Beyond Limits Challenge points. Blonde is in second and Matt Foos (Fremont, Ohio) is in third. Check out the Tri-City Motor Speedway website at www.tricityracetrack.com and its Facebook page at www.facebook.com/tricitymotorspeedway. Check out Engine Pro online at www.enginepro.com and ARP atwww.arp-bolts.com. Go to www.sprintsondirt.com for rules, schedule information, member forms, and other information and follow SOD on Facebook at www.facebook.com/sprintsondirt. ERIE, MI (June 17, 2018) – Josh Turner (Osseo, MI) drove to a spectacular Engine Pro Sprints On Dirt presented by ARP win at Butler Speedway’s WWIII, the second Hog Creek Showdown race Saturday night. Top Shelf Turner utilized his Gressman Powersports engine and J&J Auto Racing chassis and the track’s top ridge, often slipping over it, blasting by Chad Blonde to the delight of the huge crowd for the win. Former multi-time Butler champion car owner Tom Dale, turned the wrenches to fine tune Turner’s machine. Turner started on the pole for the feature with Shawn Valenti. Valenti took the early lead as Turner was down to third by the end of the first lap and eventually fell to fifth place. On lap seven, Chad Blonde blasted by Valenti who dropped to fourth by lap 13. While there was plenty of action up front, all eyes were on Ryan Ruhl. Ruhl, forced to start twentieth due to a heat race issue, made an impressive charge to fifth by lap twelve before a cut right front tire ended his race early. It was deja vu with a flat tire taking Ruhl out of contention at the Butler SOD race on May 19. Meanwhile, back up front, Turner was searching for a way to correct his backslide. In fifth place on lap nine, Turner moved to fourth on lap ten, third on lap 13, and second on lap 16. On lap twenty-two, Turner charged past Chad Blonde and withheld cautions and Blonde’s attempts to retake the lead, driving off to a three-car length win. ERIE, MI (June 11, 2018) – A fan-favorite special event at Butler Motor Speedway, the WWIII race, will be run this Saturday in partnership with Engine Pro Sprints On Dirt presented by ARP. The race will also be the second Hog Creek Showdown. 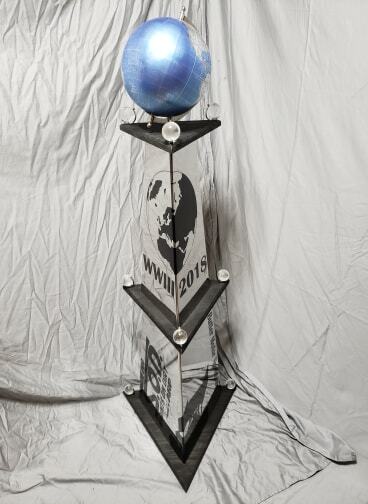 This year’s WWIII winner will be awarded a unique trophy custom designed and built by Tylar Rankin. The polished stainless steel and black wood 4’-7” tall trophy is topped off by a large globe and accented by small glass globes and black graphics. Going into the second of the four Hog Creek Showdown races, Chase Ridenour (Perry, Michigan) leads Boston Mead (Onsted, Michigan), Chad Blonde, Shawn Valenti, and Dan McCarron (Britton, Michigan). The 2018 Hog Creek Showdown will conclude with the two-day Butler Bash on Friday, August 3, and Saturday, August 4. In SOD season championship points, Litchfield, Michigan’s Chad Blonde holds the early lead over Plymouth, Indiana’s Zane DeVault. Shawn Valenti (Fostoria, Ohio), Gregg Dalman (Bellevue, Michigan), and Ryan Ruhl (Coldwater, Michigan) complete the top five. 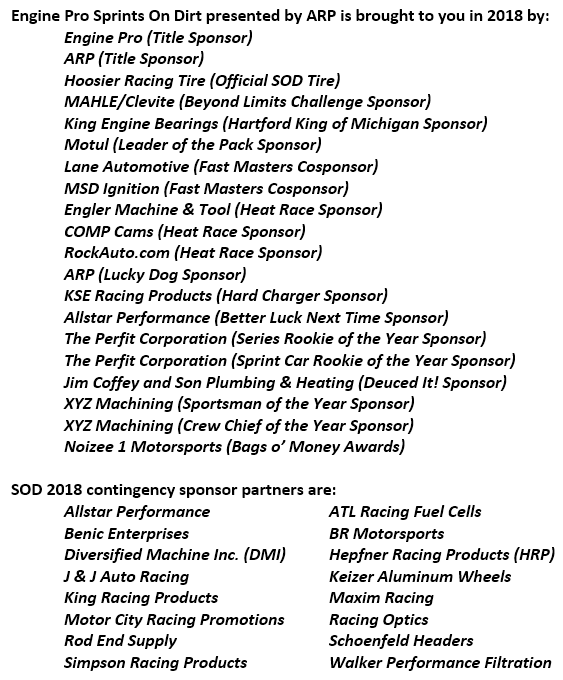 Butler Motor Speedway and Sprints On Dirt continue to work together to ensure a strong future for sprint car racing in Michigan. In a move that is sure to benefit fans and competitors alike, Butler reduced the track banking by about one-third and widened the racing surface over the offseason.